A beautiful and moving work about the relation of the human being with the beauty and its opposite, with puppets manipulated with an extraordinary precision. Dramaturgy: Guillermo Calderón, inspired by the story La Noche de los Feos by Mario Benedetti Direction: Aline Kuppenheim Puppeteers: Aline Kuppenheim, Ricardo Parraguéz, Ignacio Mancilla, Catalina Bize, Gabriela Diaz de Valdés Producer: Loreto Moya Voices: Francisco Melo, Roberto Farías, Aline Kuppenheim Lighting: José Luis Cifuentes / Raúl Donoso Sound and projections: Benjamín Ortíz / Tomás Arias Scenography: Cristián Reyes Lighting design: Arnaldo Rodríguez, Cristián Reyes Original score and soundtrack: José Miguel Miranda General concept: Aline Kuppenheim General construction: Aline Kuppenheim, Santiago Tobar, Ignacio Mancilla, Antonia Cohen, Vicente Hirmas, Daniel Blanco P. Costumes: Muriel Parra, Felipe Criado Costume making: Lissette Figueroa, Marcela Gebauer Director of photography: Arnaldo Rodríguez Animations: Aline Kuppenheim, Antonia Cohen, Camila Zurita Post-production: Luis Salas, Renzo Albertini Photography: Elio Frugone Piña Support: FONDART Production: Teatro y Su Doble (ex Teatro Milagros) Co-production: Fundación Teatro a Mil Technique: Full-view manipulation Language: In Spanish, with Portuguese subtitles For audiences over: +14 Running time: 60 min. A man and woman meet for the first time queueing at the movie theater. Both have visible physical deformities, stand alone and have lived their whole lives being stared at. Inevitably, they realize they have something in common and that they are ‘made for each other’. Together, they decide to go in search of the light behind the darkness, although nothing is quite as it seems. Inspired by the story La Noche de los Feos by Mario Benedetti and with the playwright Guillermo Calderón, Feos is the latest production by Teatro y Su Doble (formerly the Teatro Milagros). As in its previous plays, puppets and animations are the main characters in the story, although this time the performance is for adults. “The result is simply masterful. A major work of art with just the right amount of everything, brimming with transparent beauty, sensitivity and emotion and resonating deeply with the audience." 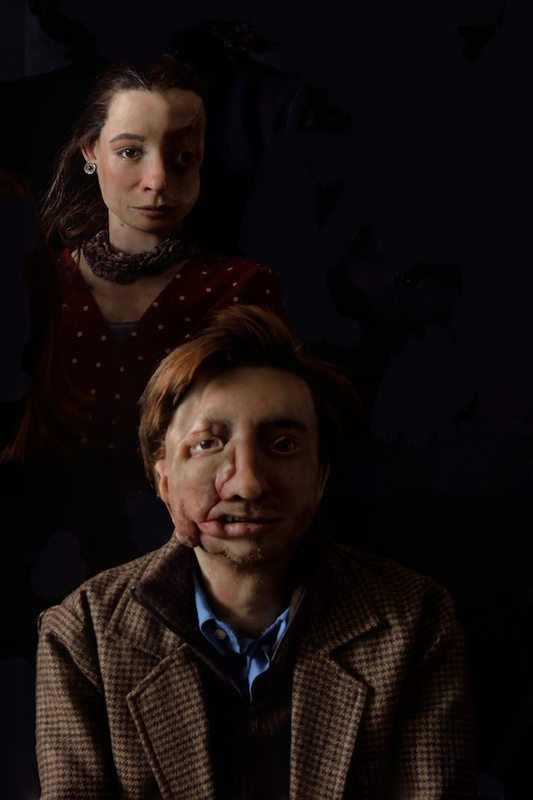 "Aline Kuppenheim and Guillermo Calderon created a work of great beauty, entering deeply into the pain and limitations of two people, whose faces were deformed by terrible accidents. Aline Kuppenheim and her company Teatro y su Doble materialize the deformities of these faces into two puppets manipulated with extraordinary precision. Like the ancient Japanese technique Bunraku, each puppet is manipulated by two or three manipulators, which you can see in the dark. There is a game with the proportions in the scenario built within the main scenario. 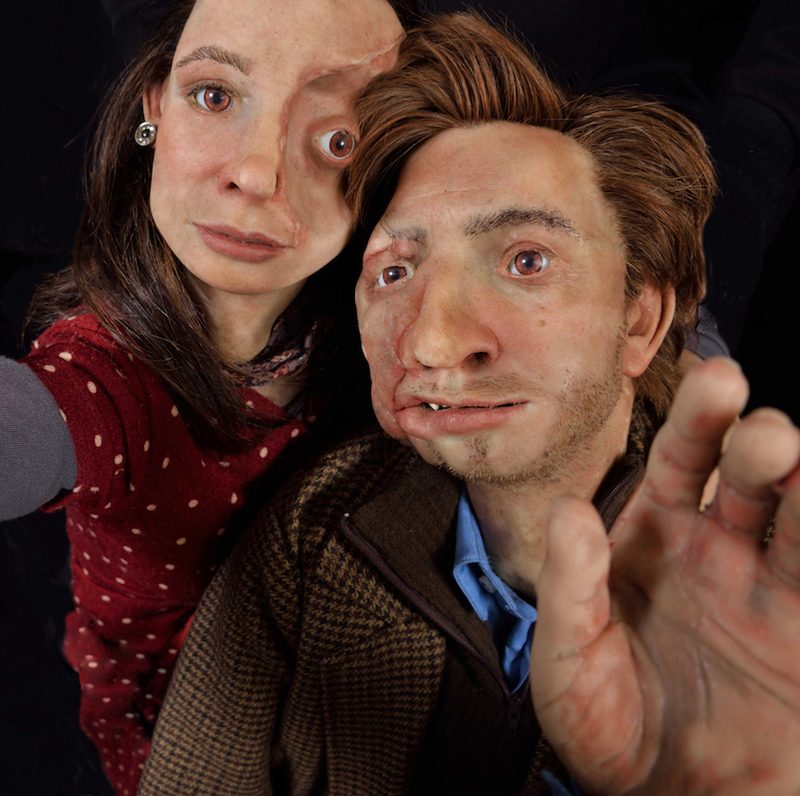 There is an almost perfect illusion of life in these puppets, whose size seems real to us." Teatro y su Doble was formed in 2005 as the Teatro Milagros to experiment with and create new theatrical styles and different theatrical tools. From the very beginning, puppets were used, with these eventually becoming their tool of choice instead of actors. 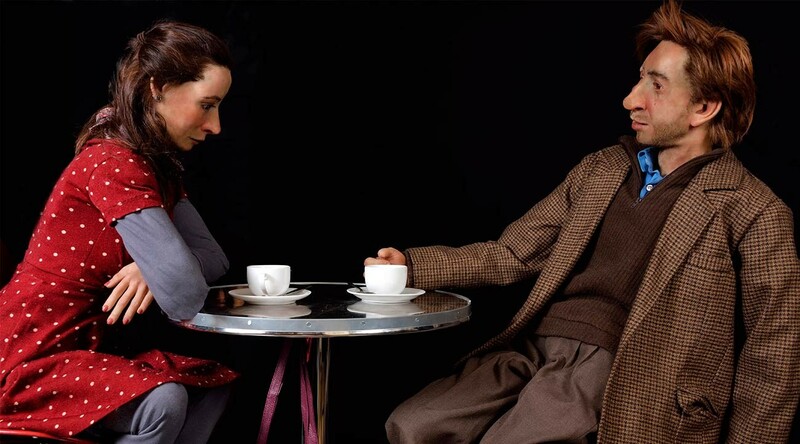 The puppeteer is at the beck and call of these inanimate objects, an invisible presence, with the two creating what is finally called theater in miniature between them. Inanimate objects convey emotions by bringing the script to life and through the audience’s willingness to believe. The company has already performed two outstanding works, El Capote and Sobre la cuerda floja, the latter also coproduced by the Teatro a Mil Foundation.